If you’re planning a winter wedding in New Jersey, you may be a bit nervous about the availability of flowers. You might assume that the cold weather will limit your choices of flowers in bloom for your special day. On the contrary, there are a lot of gorgeous flowers blooming in the winter, and many of them make a nice addition to a bridal bouquet. Read on for some of our top choices. 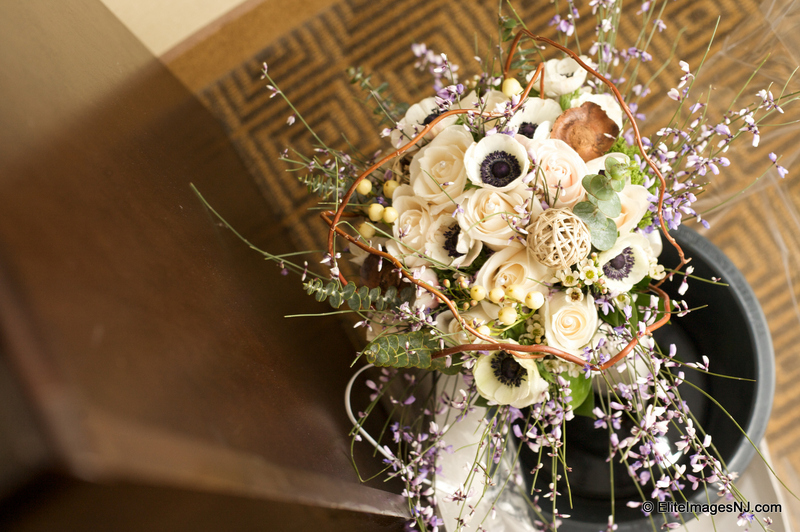 A great addition to a winter wedding bouquet would be fall-blooming anemones. Often varying in hues of white, blue, purple, and pink, these precious flowers help to give a light and airy feel to the bouquet. 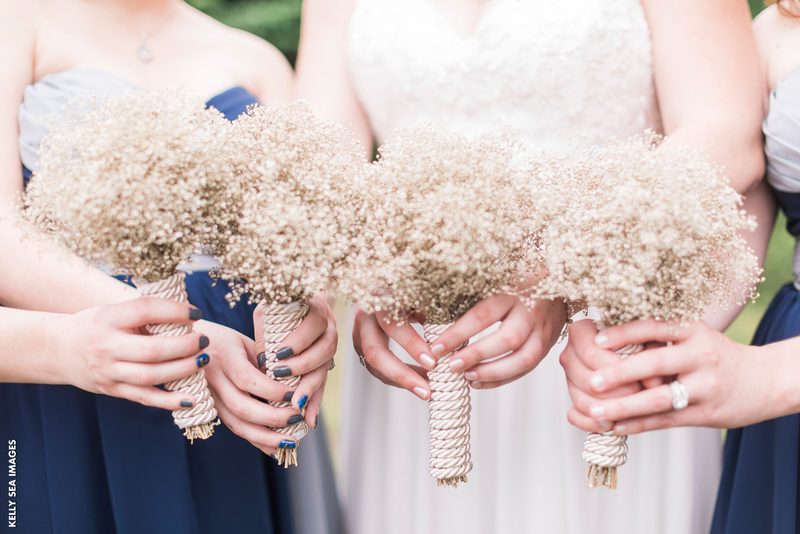 A year round favorite, Gypsophila can be used as a filler or as as an entire bouquet onto itself. The delicate white tendrils mirror the beauty of snow covered winter branches. You can opt for dried gold or silver painted Gypsophila bouquets for an added sparkle, especially for New Years Eve or holiday weddings. If you’re getting married around the holidays, there’s no better flower choice than red amaryllis. Hailing from the lily family these flowers are fairly easy to grow both indoors and out and red is one of the easiest shades of Amaryllis to find. 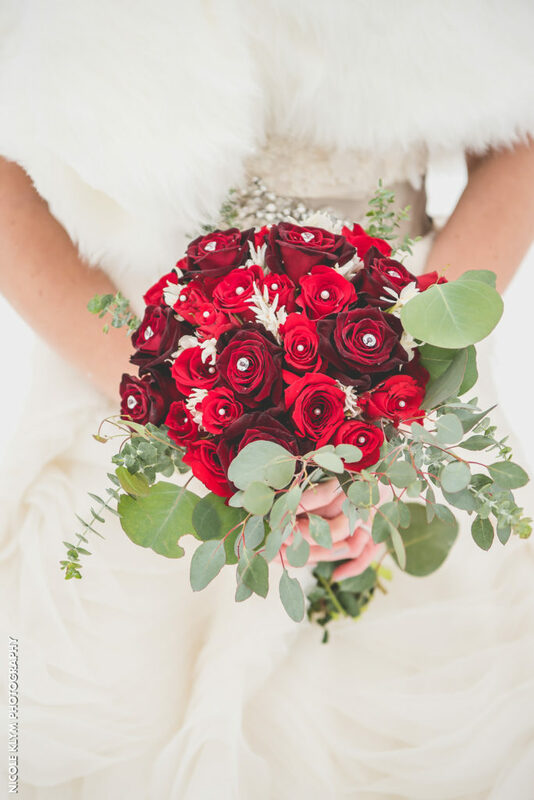 Available all year long, roses and garden roses are the epitome of all winter wedding bouquets. 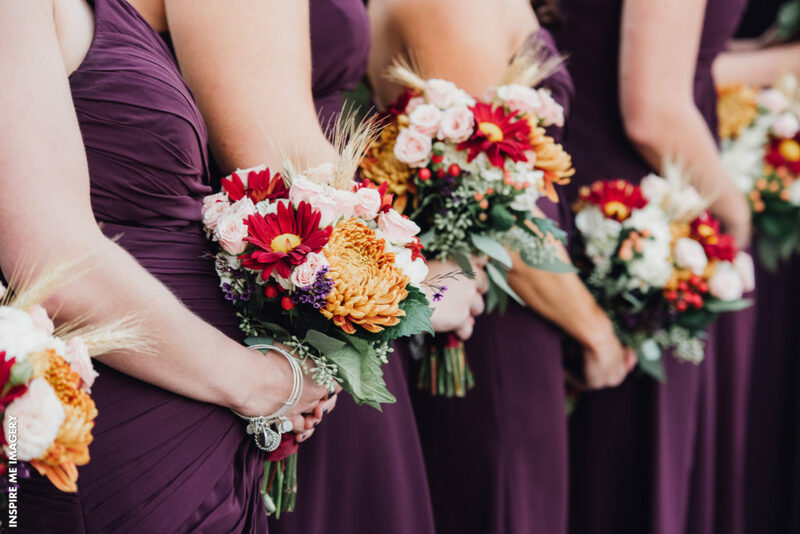 With rich, lush colors like red and purple, the flowers make the perfect addition. An increasingly popular flower choice for wedding flower bouquets is Gerber daisies. These bright and vibrant flowers are available year-round and add a burst of color and style to any floral arrangement. They can be found in an array of colors including red, purple, pink, and orange. So you see, although the winter does bring unfavorable growing conditions, there is certainly no shortage of floral options for your wedding bouquet and decorations. 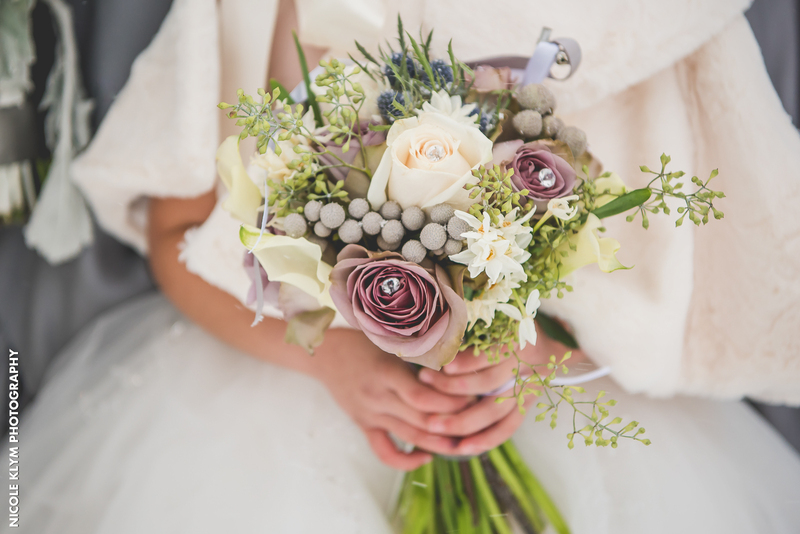 For more advice on floral arrangements or tips for choosing flowers in bloom, be sure to talk with one of our expert bridal consultants as they have a large network of florists they work who can help out.